Things are moving rapidly as far as the Apple iPad 3 is concerned. Some Apple Store customers who pre-ordered the tablet yesterday are already receiving notification that the device has been shipped which means that it should arrive by the March 16th launch date. 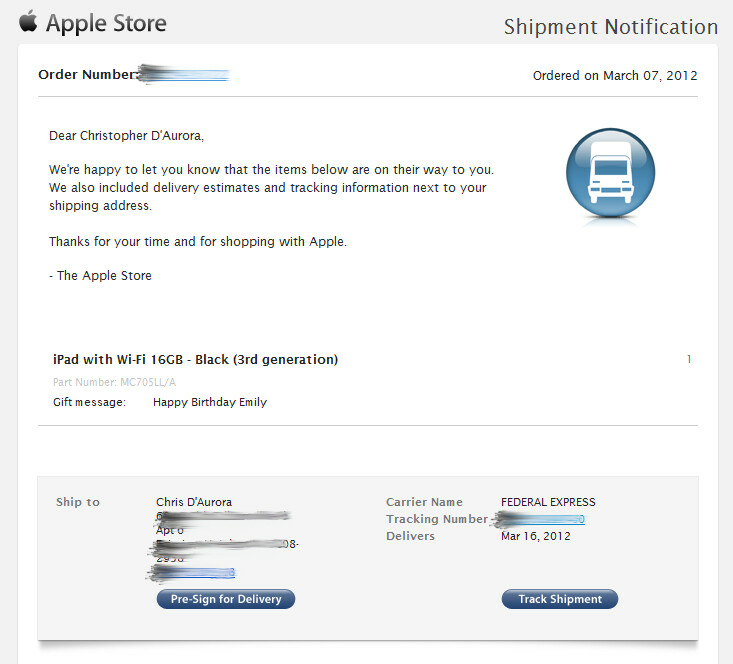 One gentleman by the name of Chris D'Aurora sent Apple Insider a copy of his notification that he received for a pre-order he made on Wednesday, the day the device was announced. D'Aurora purchased a black 16GB model which is being shipped via FedEx. 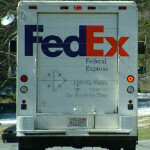 Other sites have reported hearing from iPad 3 purchasers, like Engadget which reported that several customers are receiving UPS numbers which indicates that their iPads are coming directly from China. These customers are also expected to receive their tablet by the March 16th launch date. The third-generation Apple iPad was announced on Wednesday and features a Retina display screen, a faster A5X processor, and a 5MP camera. What they don't mention is they are likely shipping from China, so they take several days. When I ordered mine year and half ago it only took three days to move but since it had a set delivery day it sat at FedEx for three days. Big deal...I couldnt care less... What are they going to do next, print the tracking info,have it blessed by the Pope and then frame it?? ?